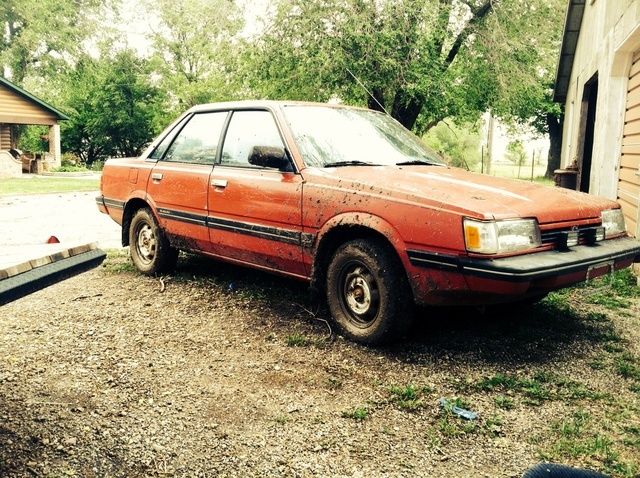 Have you driven a 1988 Subaru Leone? Great Car Porbly Wont Get Rid Of It. — Fist off its a great 200 dollar car that only has 145k on it. After it sitting for 8 years I finally got it one the road the back cv shaft makes some noise and did have a tick, my guess was one the the mechanical lifters. Has a 5 speed with the dual range 4wd sedan. Love the car drove it around 500 miles or so. So far its making around 27 miles to to the gallon. Dont drive it very hard so that probably why. For having a whopping 88 horse power out of the factory and it probably losing some over time it still have very good get up in go. Im going to try to keep this car for a very long time i have herd that these cars are some tough cars. Hopefully this car proves it to me. Cons: Little old makes some noises.